Locks, being mechanical components, are prone to failure. They can fail at the most inopportune times, like in the middle of the night. 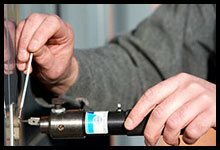 Tucson Locksmith Store provides a 24 hour emergency locksmith service to home, car, and business owners in Tucson, AZ. If you need new locks installed, are locked out of your property, or need new keys made urgently, you can call us for help. 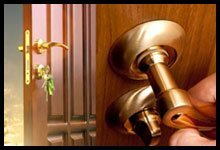 Our locksmiths are trained professionals with years of working experience. You can rely on us to provide you with the highest quality service at affordable prices. We realize your time is valuable and that you can’t afford to wait for hours on end for help to arrive. Our 24 hour emergency locksmiths respond to help requests very quickly. Our mobile vans can reach all areas of Tucson and beyond in quick time – sometimes in as little as 15 minutes. We also carry our tools and inventory in our mobile locksmith units, which allows us to provide you with an on-site service. We won’t charge you extra because it’s an emergency or it’s the middle of the night either, like some of our competitors do. Our 24 hour emergency locksmith service can install new locks on all your home doors, windows, garage door, and mailbox - or repair your old ones. We also install new doors and garage doors, if necessary. If your property has been the target of a break-in attempt, we can repair the damage. We can also make it harder for thieves to break in by installing top grade locks. Need high security locks installed urgently for your commercial property? You can hire our 24 hour emergency locksmiths to install them for you overnight, so we don’t interrupt the regular running of your business. 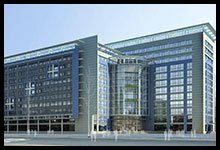 We can install commercial locks, panic bars, biometric locks, and master key systems. We provide all the locksmithing services businesses could ever need. Have you been locked outside of your car? Don’t worry; our 24 hour emergency locksmith service will get you back inside quickly. 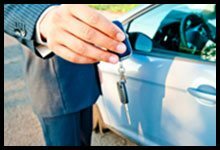 Our auto locksmiths can unlock car doors and trunks, repair ignition switches, make you new car keys, and extract broken key pieces from locks. We can make transponder car keys – or reprogram your old ones – at affordable prices. Looking for a reliable 24 hour emergency locksmith ? Call us now on 520-226-3049 !